Over the years, I have been progressively learning how to repair and modify just about any type of equipment that could occur in a rock band (or any other musical project for that matter). One thing that makes this work interesting to me, is that I am not the only one tinkering with musical equipment, and I often work on things that have already been altered in some fashion. While this can sometimes make my job easier, it usually makes it harder. One of the most annoying things I come across is having to work with a speaker with no identifying labels, leaving wattage and impedance somewhat of a mystery to me….until now! …Well, at least regarding the impedance part. Impedance is measured in ohms, just like resistance. However, impedance is a complex sum of resistance and reactance, which involves imaginary numbers and changes at different frequencies. Well, if it changes, why are speakers reported as being of some fixed impedance value? When I put together my guitar speaker cabinet, the speakers I chose were rated at 8 ohms impedance. Why? When it comes to making decisions in the world of electronics, The International Electrotechnical Commission (the IEC) is the big cheese. The IEC provides international industry standards for just about anything electric you can think of. Specifically, the IEC 60268-5 provides the international standard definitions and requirements for loudspeakers. Unfortunately, this document is not open source so I cannot site it directly. If you are interested in purchasing the document for about $350, it is available here. However, with a little more research I have figured out how the IEC defines what is called the “nominal impedance,” which is the named impedance rating you are told for some speaker like my 8 ohm guitar speakers. Nominal impedance is most accurately determined with a few basic steps. 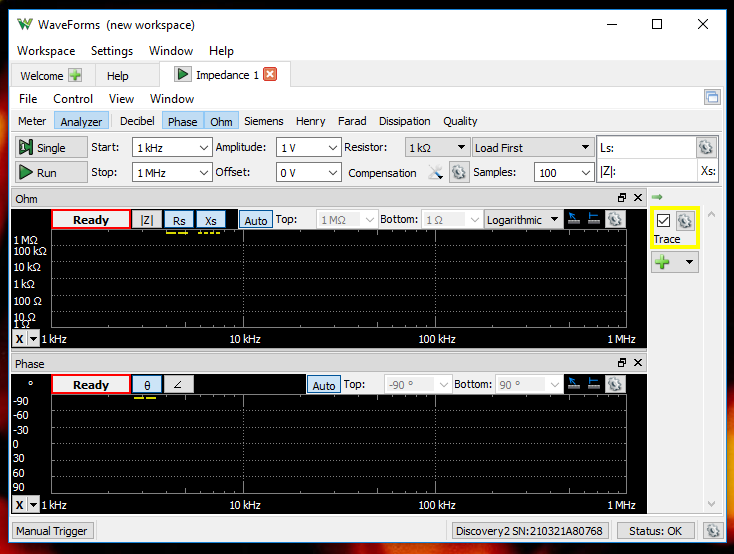 First, by using an Impedance Analyzer, (one of which is included in the Analog Discovery 2 and it’s complimentary software WaveForms) we need to graph the speaker’s impedance as a function of frequency to determine the lowest occuring impedance. 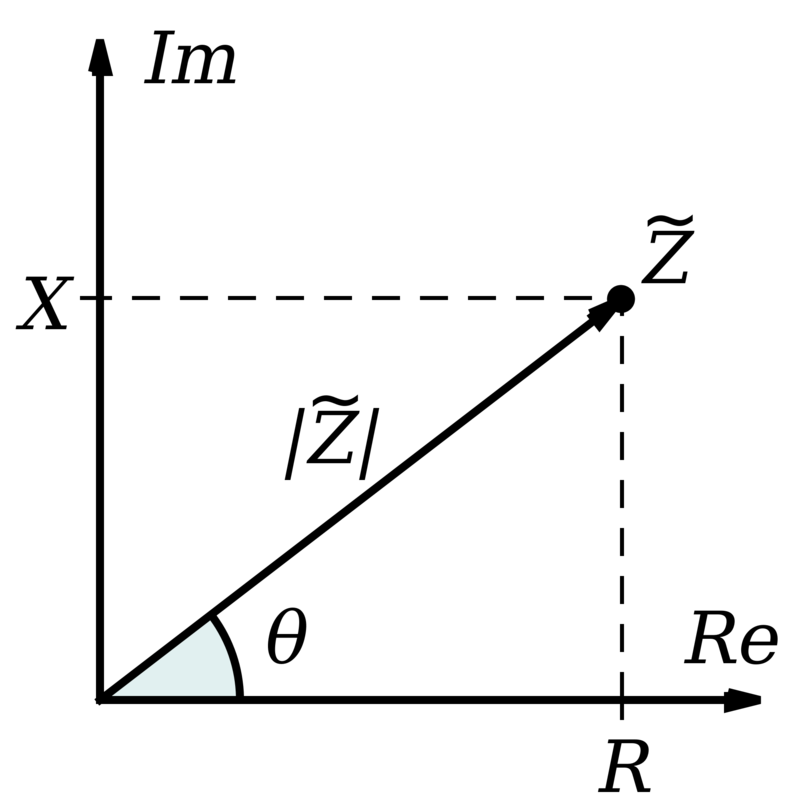 The IEC states that the nominal impedance of your loudspeaker is determined such that the minimum impedance is never less than 80% of the nominal impedance. So, once we have determined the lowest impedance the speaker experiences, we can take that value and either divide by 0.8 or multiply by 1.25 to rate the nominal impedance of the speaker. In the case of my guitar speakers, (since they are rated at 8 ohms) that means the minimum impedance across its frequency range does not dip below 6.4 ohms. 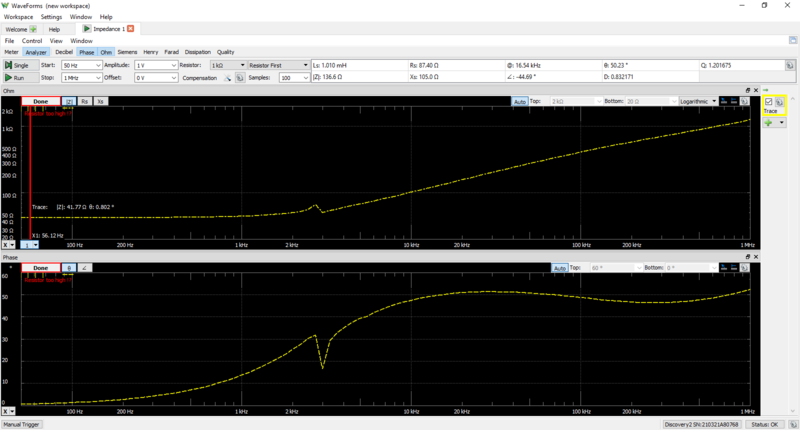 The top graph is the measured impedance versus frequency, and the bottom graph is the measured phase versus frequency. The numbers may be hard for you to read, but the lowest value I found was 41.77 ohms. 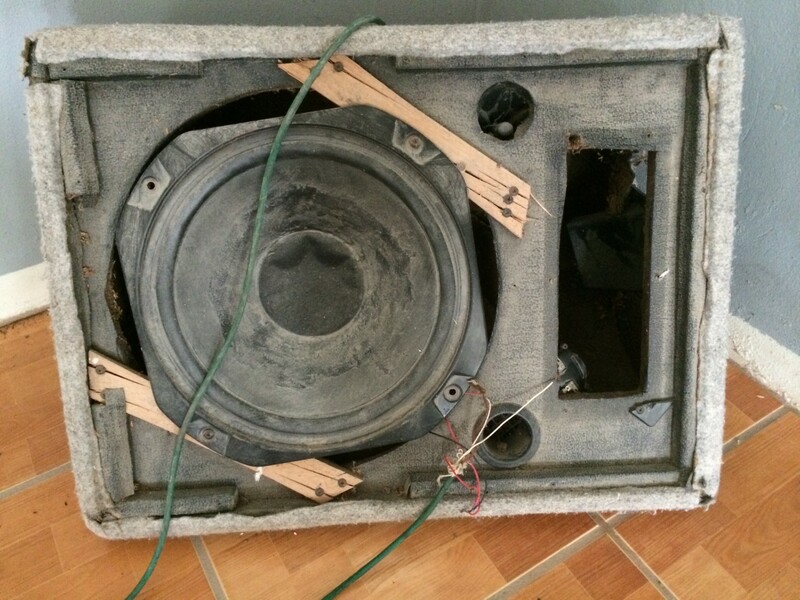 After a quick calculation, I determined the nominal impedance rating for this speaker by IEC standards is 50 ohms. Pretty neat, if you ask me. Now when I encounter ambiguous speakers, I know how to determine their impedance rating accurately. Another method I have learned that can apply to guitar speakers (mostly because they are typically manufactured for 4, 8, or 16 ohms) is to measure the DC resistance of the speaker and round up to the nearest rating. This may work most of the time, but for some speaker systems that have capacitive properties, the lowest impedance may occur at some frequency far from DC (zero frequency). Furthermore, the cabinet that the speakers mount to will change the resonant frequency (seen as the little spike in my graph) and effect the lowest impedance value. So the DC resistance value may be a risky estimation for the minimum impedance depending on the application. As one last note, I would like to mention that the reason we are concerned about the minimum impedance ties back to good ‘ol Ohm’s Law: V = I * R. Typically, in terms of amplifier systems, our power voltage will be constant. So, when the impedance drops, the amplifier will have to provide a greater current. This is the greatest load the amplifier would see and if it can not provide a current great enough to drive the speaker, then the voltage across the speaker will drop to compensate and introduce distortion to the speaker. 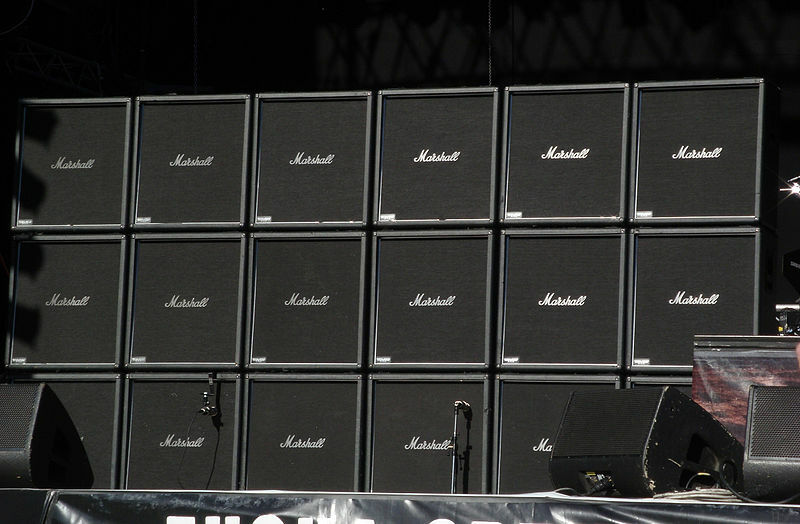 Having said that, I wouldn’t be surprised to learn about guitar players experimenting with this, although it is quite common for guitar players to overload speakers for distortion. Good luck with your speakers! 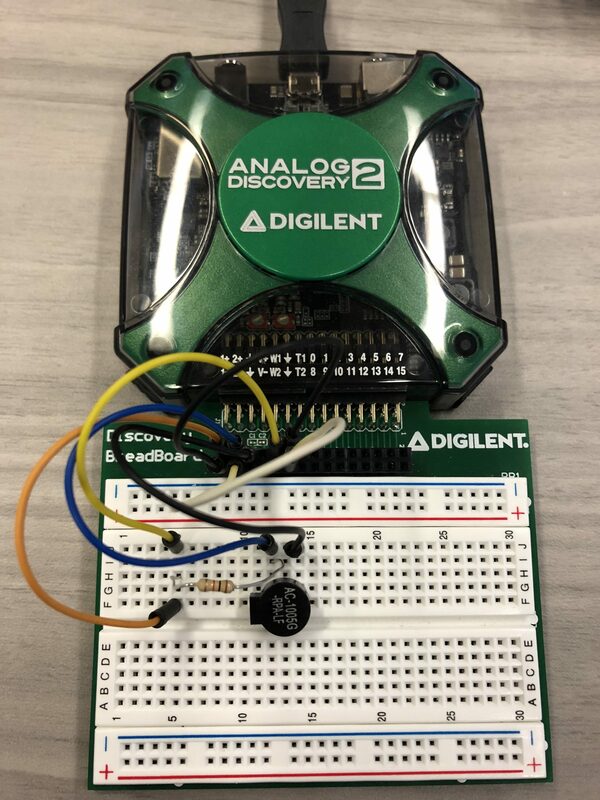 One of the labs in my textbook uses the Analog Discovery 2 to measure the impedance of a loudspeaker, then model it. The Impedance Analyzer function makes this much simpler than in earlier versions of the textbook, where we used a function generator and a pair of voltmeters. but the next edition (coming out in Dec 2018) will have a different title and cost a little more (people who buy at the current price will get the new version when it comes out free.